This past January, a team of four NC State students including Emily Wise, Kevin Lee, Simon Park, and myself were chosen as finalists in the 2016 Walt Disney Imaginations Competition. With over 240 applicants, this national competition challenged us to create a transportable park that would bring Disney magic to any small town or big city across the United States and could be set up and torn down in one day. 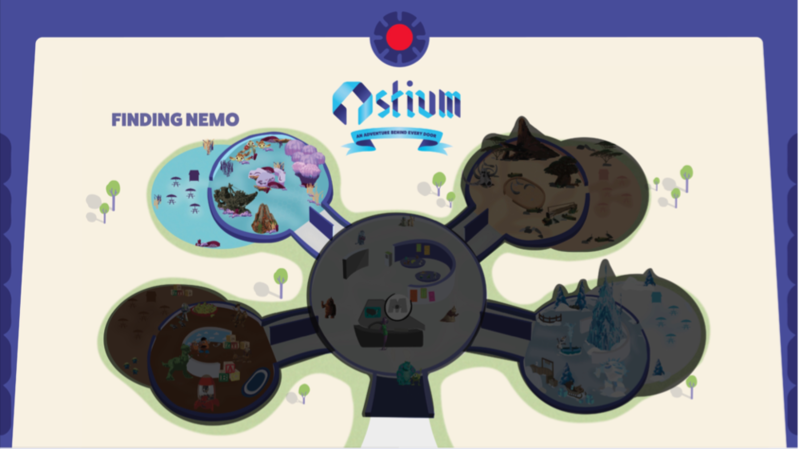 Our proposal, "Ostium: An Adventure Behind Every Door", creates an immersive experience that combines the wonder of reality with the enchantment of virtual reality. Extended only to College of Design and College of Textiles students at NC State, this annual competition challenged us to create a paisley design to be featured in High Cotton Ties 2016 spring line. Using only the specific colors provided by the company and the identity of the brand, I was able to create a design to participate in the competition.